environments and settings (e.g., school, church, workplace, and neighborhood) have been referred to as “place.”5 In addition to the more material attributes of “place,” the patterns of social engagement and sense of security and well-being are also affected by where people live. Resources that enhance quality of life can have a significant influence on population health outcomes. Examples of these resources include safe and affordable housing, access to education, public safety, availability of healthy foods, local emergency/health services, and environments free of life-threatening toxins. 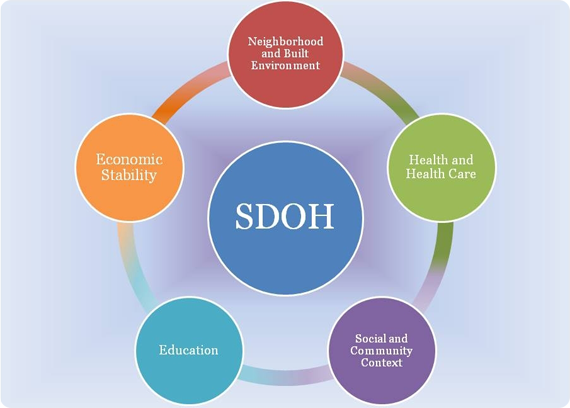 Understanding the relationship between how population groups experience “place” and the impact of “place” on health is fundamental to the social determinants of health—including both social and physical determinants. By working to establish policies that positively influence social and economic conditions and those that support changes in individual behavior, we can improve health for large numbers of people in ways that can be sustained over time. Improving the conditions in which we live, learn, work, and play and the quality of our relationships will create a healthier population, society, and workforce.